HMH – Hospitality Management Holding is set to further consolidate its presence in Sudan with the completion of EWA Port Sudan Hotel & Apartments by Q4 2017. The new property will be the group’s fourth hotel in Sudan where it has been operating since 2009 and symbolises the company’s commitment to support the development of tourism infrastructure in the country. 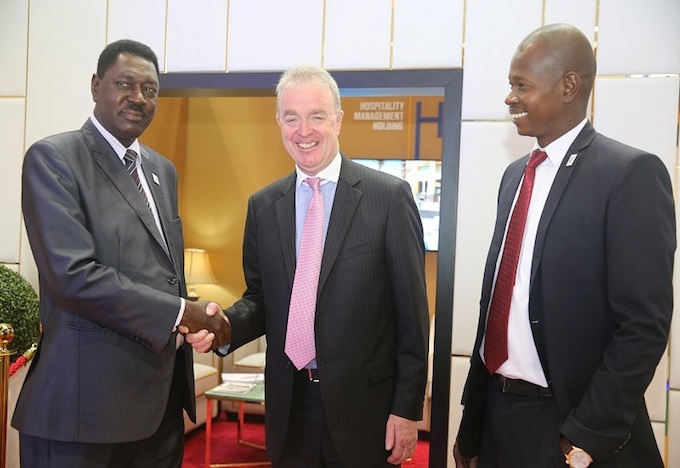 Ferghal Purcell, COO of HMH, said: “With three well-established hotels in operation we are strongly positioned in Sudan and well-placed to contribute to the growth of the local hospitality and tourism industry. We have got a strong portfolio of brands and are delighted to consolidate and build on our strategic cooperation with our business associates in the country. There is a considerable shortage of hotels in Sudan, particularly outside the capital Khartoum, with many key tourist attractions completely lacking suitable accommodation. HMH is among the few reputable hospitality groups present in the country and already operates Coral Khartoum Hotel, Coral Port Sudan and EWA Khartoum Hotel & Apartments. Earlier this year, after nearly two decades the United States lifted trade sanctions against Sudan. This historic development will allow the country to not only trade extensively but also attract much-needed investment into its economy, boosting business and leisure tourism that in turn will support the development of quality hotels. The government of Sudan has pledged significant funds to boost the country’s tourism industry, and inbound and outbound tourism to and from the Middle East in Sudan is also benefiting from an increasing number of flight connections due to the expansion of low-cost carriers in the region.